France has a special place in my heart since that is where I went on my first and only mission trip as a youth. Just before high school I went as a mime (yes you read that right and yes, I did pull an imaginary rope and was caught in an imaginary box) with my youth group. That trip started my love for the people of Europe and the land too. There is a pretty large number of the population that claims to be Christian (38,296,005), but only 1% (600,000) are evangelicals. 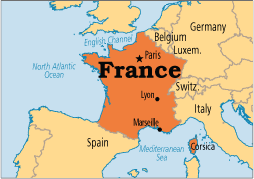 There has been some recent unity between the evangelical groups within France so that is a very promising development. Unfortunately there are also a lot of people making a living in the occult practices too. Courage and boldness for both the evangelical groups to work together and for new believers to reach out to friends and family. 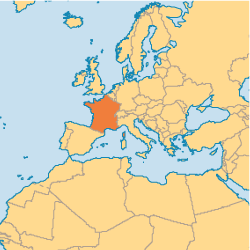 New workers to go to France to work with the immigrant populations especially in Lille. My friends the Egli’s and Hawkin’s who are both raising support to go to France as soon as possible. Next Next post: Are You Living A Pancake or Waffle Life?